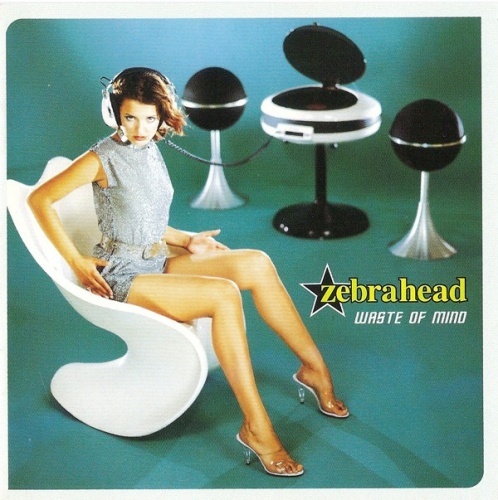 Zebrahead's mixture of happy-go-lucky hip-hop drenched with rambunctious pop/rock is quite a formidable adversary, as listening to Waste of Mind it is nearly impossible not to enjoy the songs, even if you find yourself in the darkest of moods. These five young men have seemingly created their own distinct sound amidst hundreds of bland rap/rock knock-offs, and find that their greatest weapon of all is the ability to convey positive thoughts through their music. Waste of Mind never once steers towards the depressing tones that have catapulted many rock bands to stardom during the '90s; instead, every chord emitted from the album savagely strikes for the hidden child inside all of us. One of the most memorable aspects of Waste of Mind are its delightfully catchy melodies. Songs like "The Real Me," "Someday," and "Bootylicious Vinyl" excel at entertaining the listener, feeding off from casual pop references while continuously rocking throughout. Zebrahead do lack much substance, as most of the songs contained within this 14 track release are borderline silly, and lyrically the group aim more for goofiness than trying to cover serious issues. Zebrahead capture the essence of rock entertainment, and if you're looking for an album that focuses on putting a smile on the listener's face, Waste of Mind should be a consideration.